Blogging is a time-tested method for generating traffic from search engines. Well, at least it is if you understand the new paradigms of search engine optimization ["SEO"]. Here are some quick tips on getting the most from your SEO blog posts. Search engine optimization “best practices” have changed dramatically since 2010. That’s when Google started to make radical changes to the way it ranks websites. Old practices such as gaining as many links as possible and using very specific keyword ratios not only became largely irrelevant, but actually raised red flags in Google’s ranking algorithms. Today, the key is to write quality content which naturally contains your keyword phrases and semantically similar phrases. We’d like to focus on several of the most important ways to do it. When planning your website, one of the first questions you will face is whether you should personalize the content on the site or go with a more formal approach. There is no absolute answer to this one, so let’s take a look at the factors you need to consider when making the choice. 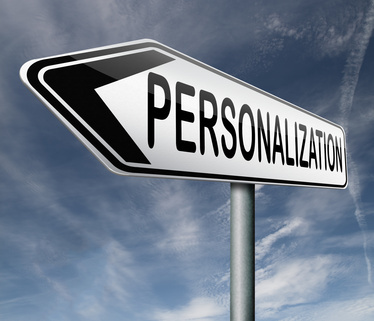 What does personalization of content mean? It simply refers to the “speaker” in the content. If you look at a site like Fidelity.com, there is no personalization whatsoever. Fidelity is a financial brokerage site, so the content is written with the “speaker” being the business itself. Contrast this with a site like SmartPassiveIncome.com. This is the primary site of Pat Flynn, a very popular blogger who provides business tips to his readers. Personalization is the approach throughout the site. Everything is about Pat, because his goal is to connect personally with his readers. This is a classic form of content personalization.